The Dawn complained in an editorial that governance was taking a back seat as Nawaz Sharif pursues his Islamabad-to-Lahore rally, with leaders of the ruling Pakistan Muslim League-Nawaz busy mobilizing crowds along the route. Islamabad: A Pakistani newspaper on Friday suggested to former Prime Minister Nawaz Sharif to go for a snap election instead of taking out rallies denouncing the Supreme Court for unseating him on corruption charges. The Dawn complained in an editorial that governance was taking a back seat as Mr Sharif pursues his Islamabad-to-Lahore rally, with leaders of the ruling Pakistan Muslim League-Nawaz busy mobilizing crowds along the route. In the process, new Prime Minister Shahid Khaqan Abbasi "has cut a lonely figure in Islamabad, seemingly left alone to steer the ship of the government at a critical moment in the country's history", it said. 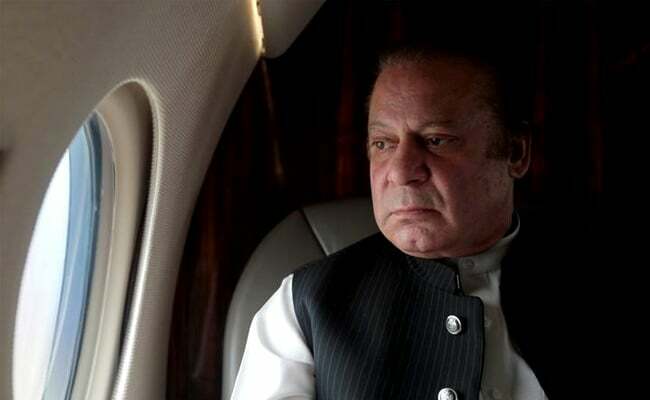 The Dawn said that given the controversial circumstances in which Sharif was judicially ousted by the top court, it was inevitable that the PML-N would seek to demonstrate support for its leader. "What is unnecessary, undesirable and faintly undemocratic is for the party in government at the Centre and in Punjab to seemingly abandon all governance priorities to cheer on Sharif." The Dawn told Mr Sharif that roadside gatherings, speeches in city centres and slow-moving convoys were not the people's court or a sign of people's verdict. "The only people's court is a general election." "If the PML-N is happy to let politics eclipse the demands of governance, then it should go all the way and call a snap election. Enough of this political circus."